Trade.com is a well established Forex & CFD broker that is licensed and regulated by CySEC in Cyprus. The firm opened in 2013, and has recently grown into a popular broker worldwide. Their website is available in multiple languages for their large client base. The Forex brokerage firm Trade.com offers traders the MetaTrader4, Sirix and Webtrader CFD trading platforms. A nice product they have available is their copy trading feature. Once you have created your premium account, your account manager can set up the auto trading for you. Hundreds of underlying assets are available for trading in the categories of: Bonds, Commodities, Forex, Crypto, Indices, Stocks and ETFs. More than 55 currency pairs are available, with leverage as high as 300:1. Mobile trading is available on their Android & iOS apps, which are updated quite frequently. They have Stock CFD’s on over 180 listed companies, along with Bitcoin, Litecoin and Ethereum. Minimum deposit for a new trading account starts at only $100. When comparing Forex brokers, one of the most important things that a smart day trader looks for is a legal and licensed broker. There are many reasons to trade with a licensed broker. One reason to choose a licensed broker over an unlicensed broker is because of the Investors Compensation Fund, which protects your account in the event of the brokerage firm becoming insolvent. Trade.com is owned by the CySEC licensed company; Lead Capital Markets Ltd., and their license number is 227/14. Traders from the United States, Japan and Canada are not accepts as clients. Smart investors always maintain account at multiple Forex brokers. Plus500 is a CFD broker that is licensed by CySEC, FSB and ASIC. They have a unique CFD trading platform, with Bitcoin and Crypto pairs. The minimum deposit for a new account is $100, or try their free demo accounts, see here. 24option is a large Crypto / Forex broker that is licensed and authorised by CySEC in Europe. 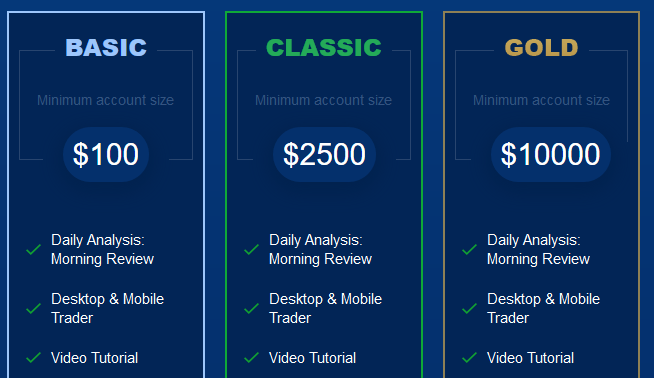 Test out a Free Demo Account on their unique trading platform, see here. Address: Lead Capital Markets Ltd, Strovolos, 128 – 130 Limassol Avenue, Office 301, 3rd floor, CY 2015, Nicosia, Cyprus.. Phone Numbers; United Kingdom: +44 203 150 0204, Germany: +49 303 080 8480 and United Arab Emirates: +971 444 579 45. Customer Support Email: [email protected] | Official Website: https://Trade.com.